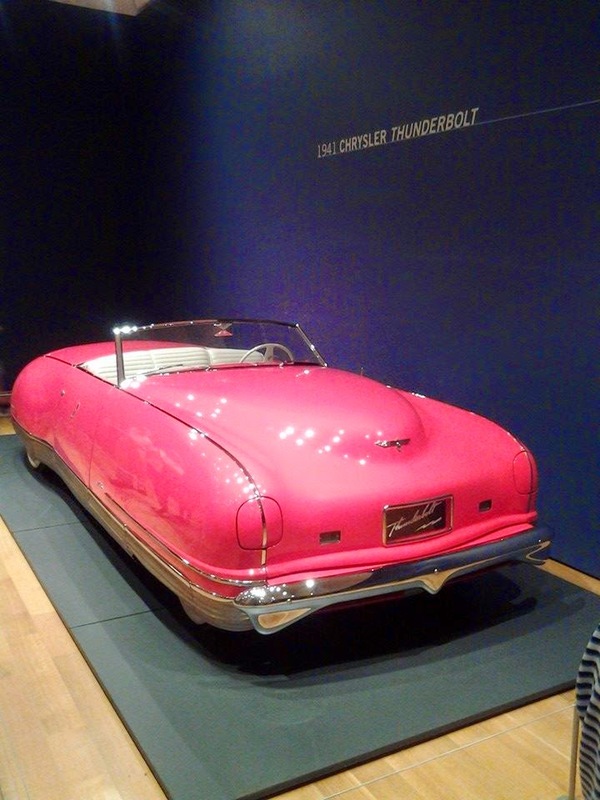 This may not sound like what car guys do on the 4th of July weekend, but I went to an art museum. Not "I went out with a guy named Art". Not "my family went to an art museum". 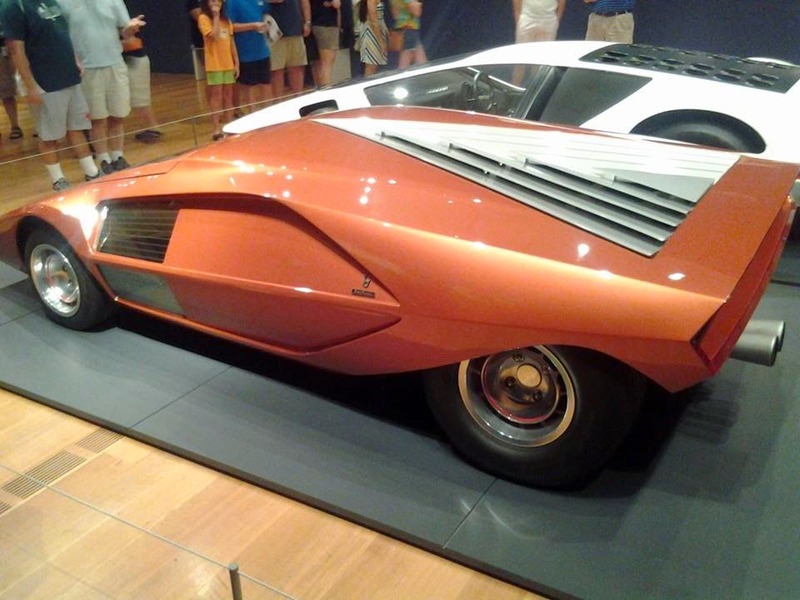 I went to an art museum to see some CARS! Also, thanks to the High Museum and many others that are giving free admission to our active duty military folks, and a 20% discount in their gift shop! Along with the cars to see, and the descriptions and bit of history next to each car, the museum has a great audio tour that you can also purchase, to learn even more about each car. The audio tour also has some bonus movies and photos to see on a small iPhone-like device with headset. To talk about the 17 cars on exhibit and point out all the features that these cars had decades ago would probably take a book, so luckily I bought the book at the gift shop! This exhibit and collection of cars was put together just for this museum, so the experience and the book are unique to the High. 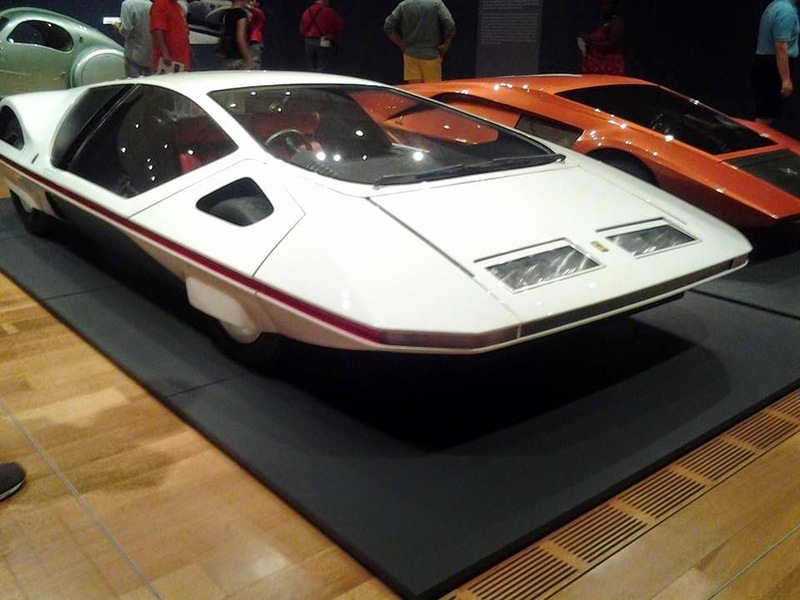 If you think retractable hard tops, rain sensing cars, electric jacks on all four wheels, magnesium bodies or wheels, or rear view cameras are all pretty exciting new developments in automobiles, you might be wrong by several decades! Let's take a look at some of these Dream Cars! 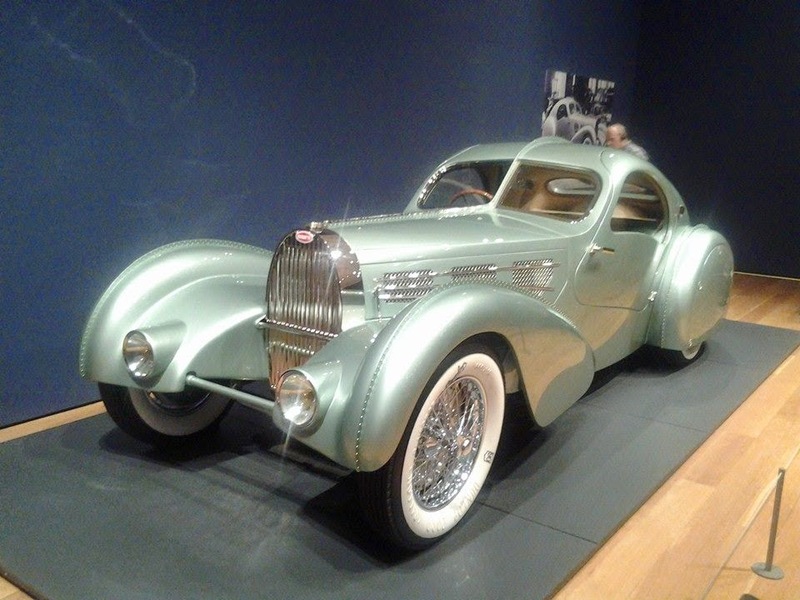 1935 Bugatti Type 57S Competition Coupe Aerolithe, magnesium body! Aerolithe is French for "meteor". 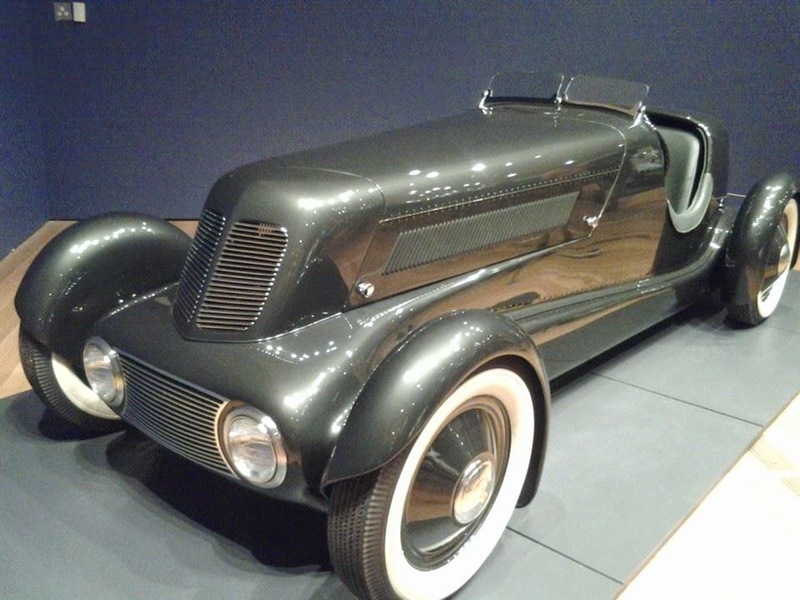 1934 one of a kind Edsel Ford Model 40 Special Speedster, built for Mr. Edsel Ford himself! 1941 Chrysler Thunderbolt. Retractable hard top, pop open headlights in the 40s! 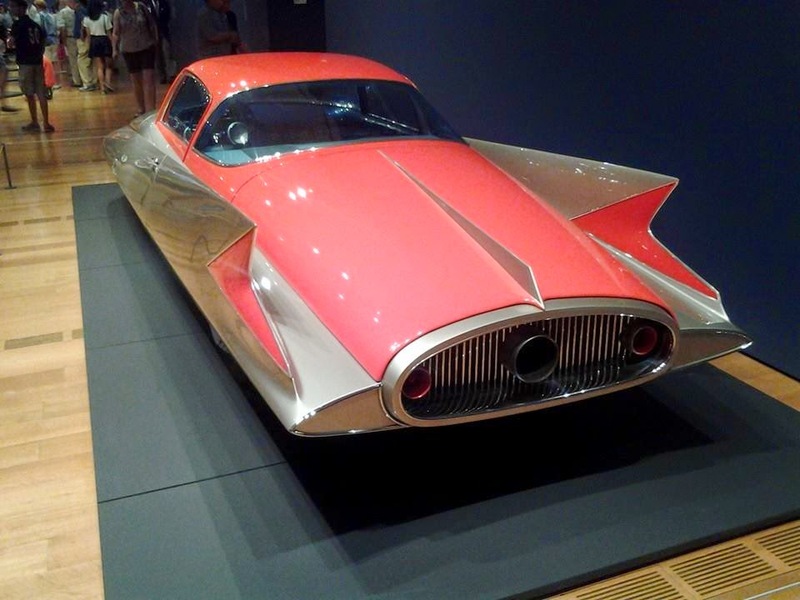 1955 Chrysler (Ghia) Streamline X "Gilda", named for Rita Hayworth in her movie "Gilda". 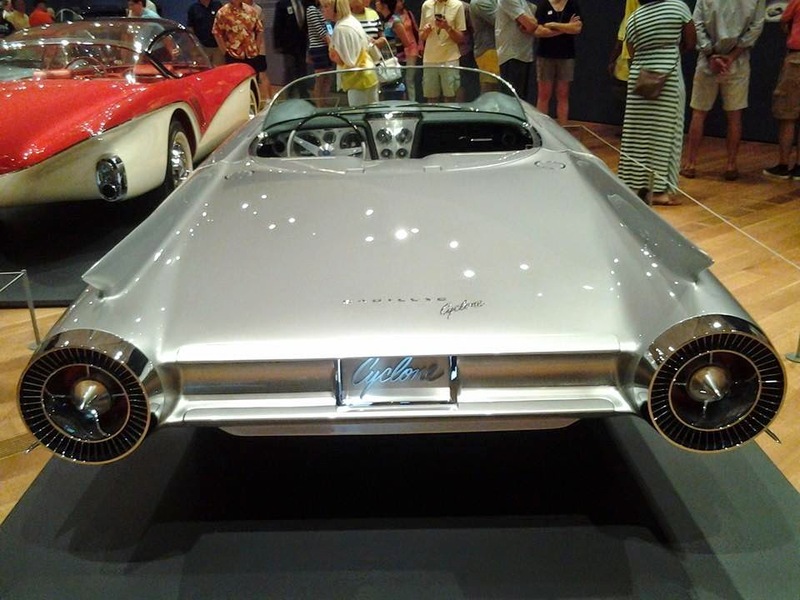 1959 Cadillac Cyclone XP-74. Front mounted radar for sensing obstructions, doors that slide back like a modern minivan. Not bad for the 1950s! Here are my favorites, two Italian concepts both from 1970. 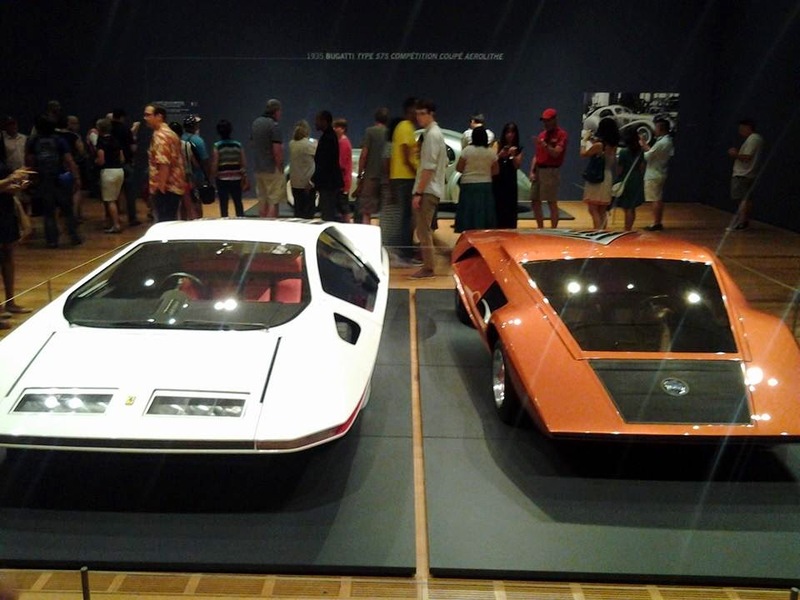 In white, a Ferrari (Pininfarina) 512 S Modulo, and the bronze color Lancia (Bertone) Stratos HF Zero. The Ferrari has a V12 in the back, but is only 37 inches tall. To get in, the front top half slides forward. 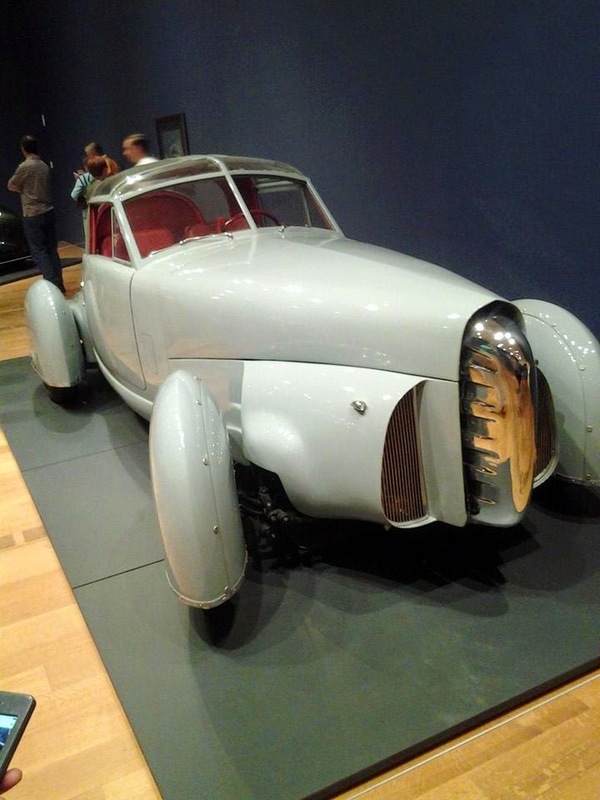 The Lancia is even shorter, only 33 inches tall, and the front windshield hinges at the top has to open backwards so you can step in. Maybe you thought a T-Top "Smokey and the Bandit" car was cool, but did you know that probably the first car with a T-Top was this 1948 Tasco, with the top made of a newly invented material of ABS plastic? The name Tasco came from "The American Sports Car". Electric cars are becoming a bit more popular, there is even a Nissan Leaf in my neighborhood and several electric car chargers in my tiny town. 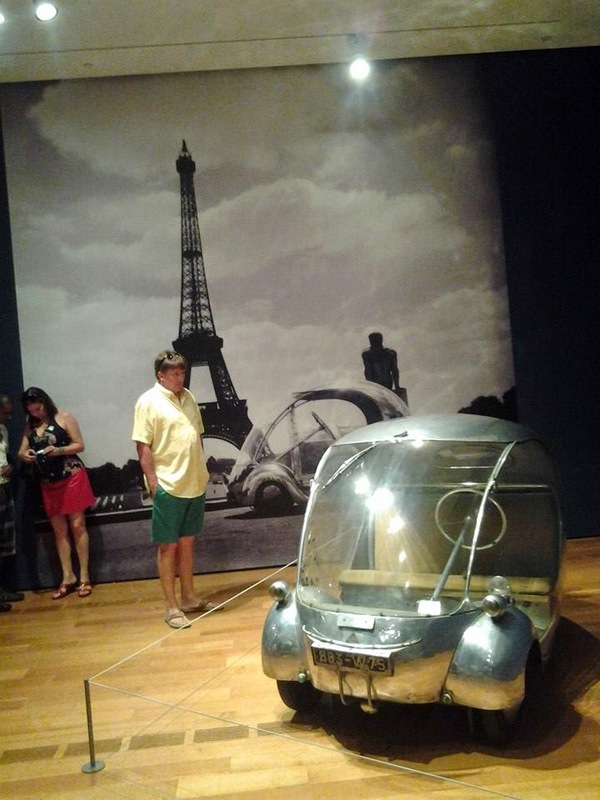 This little French electric car was known as L'OEuf electrique, or Electric Egg! Good for about 60 miles on a charge, it had three wheels. Sound modern? It's from 1942. 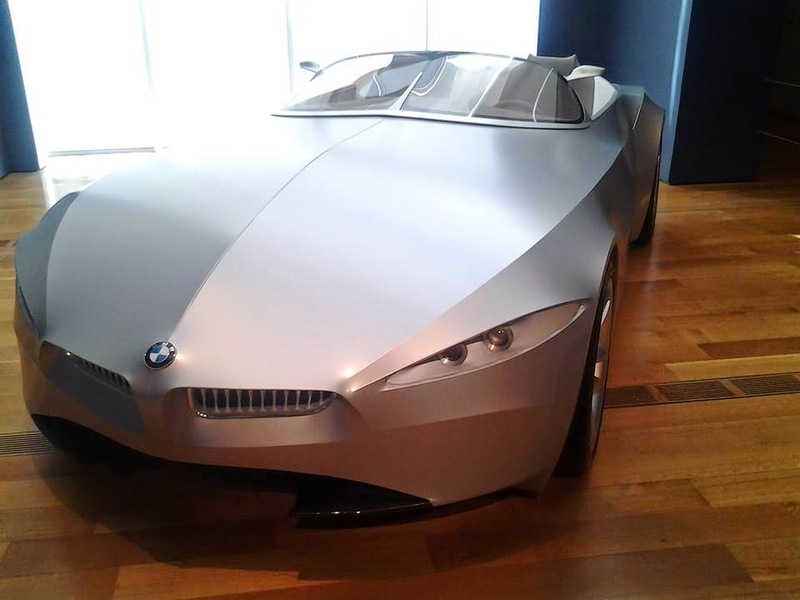 On the more recent side, here is a 2001 BMW GINA Light Visionary Model, with a fabric skin made of polyurethane coated Spandex! When you open the doors, the fabric just wrinkles, and the headlights and tail lights just shine thru the fabric. 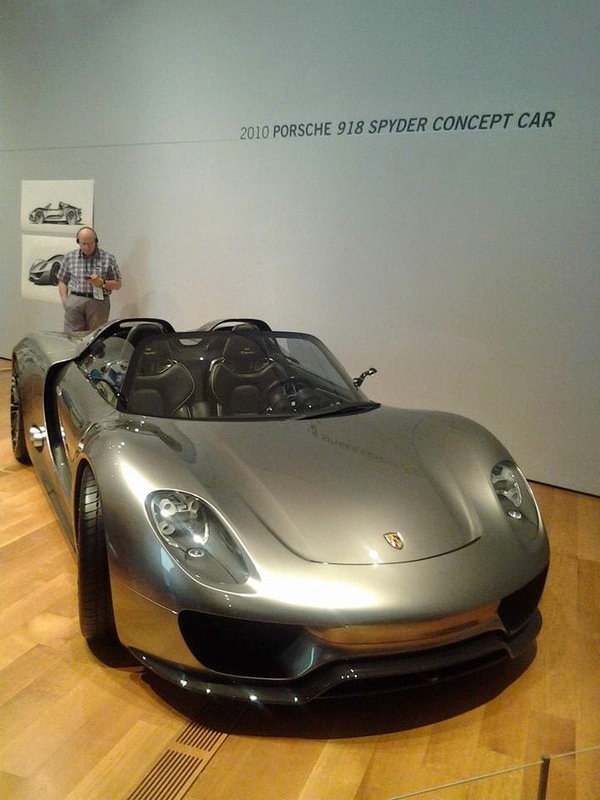 The newest car in the exhibit is this 2010 Porsche 918 Spyder Concept Car that is now entering production. 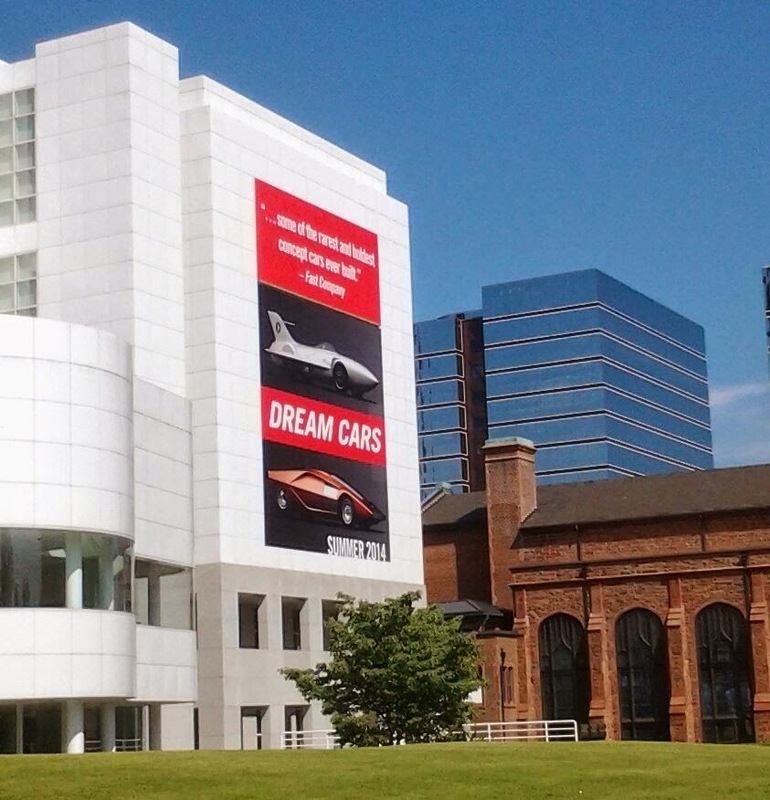 The outside of museum has a bit of advertising for this exhibit! You should check it out!